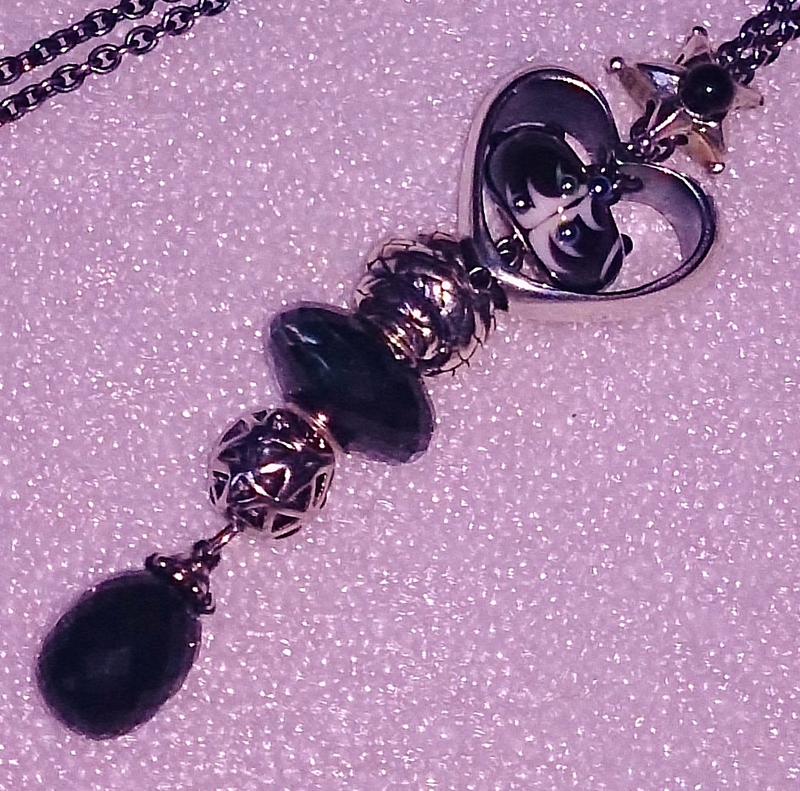 Since I bought my black onyx Fantasy Necklace it's become one of my regular necklaces. Being shorter (80cm) I'm finding it's a lot more versatile for throwing combinations together and wearing everyday. Here's a quick reminder of what I've been doing with it. My last incarnation of my Onyx Necklace, before I lost myself in the Carved Ambers, saw me swapping a few beads around ready for a brief trip to the Lake District. View from my bedroom window, wet, wild and wonderful Windermere! 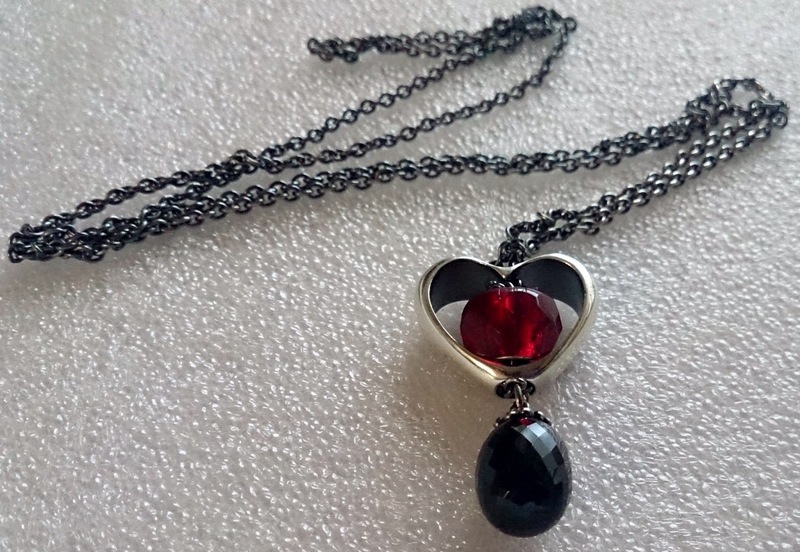 I kept the Silver "In Your Heart" pendant in the design again. This pendant has been really good value for me, it's only come off my FN recently to make way for my carved ambers! I've used the triangles silver at the bottom with a prism bead on top, and I sat the Heart pendant on the Two Sides to Everything silver charm, popped the snake back on, but inside the Heart this time, and changed the zodiac star on top from onyx to garnet and voila! 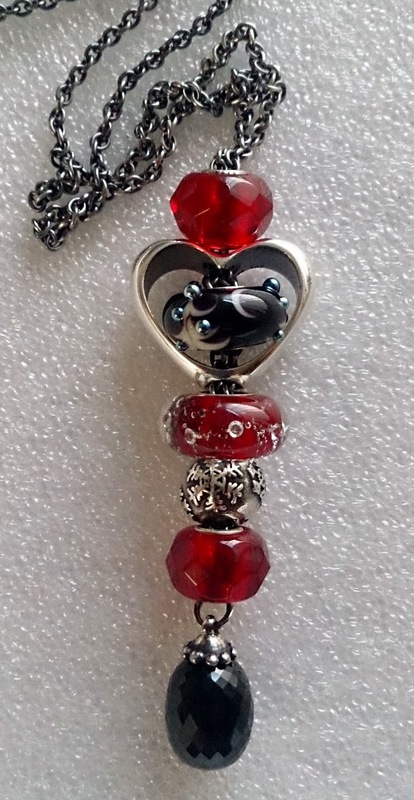 I teamed this necklace with a red and black bangle and my Rebeligion See No, Hear No, Speak No Evil skulls bracelet. Here is how my Onyx FN necklace looks today, unsurprisingly it's still made up with my carved ambers! How I'm wearing my Fantasy Neckalce this week! I used to swap and change general necklace lengths frequently, but up until recently I'd only been wearing shorter necklaces (45cm) with a pendant; my 2 Trollbeads Fantasy Necklaces have ignited that passion for wearing longer necklaces again. Speaking of which I really must revisit my Pearl FN as that's not been worn since Christmas... but I have a new idea for that so I shall save it for another post! How do you wear your necklaces, short, long, inbetween or not at all? I love long necklaces so you can wear them different ways - let them dangle or loop them double. Your fantasy necklace with the amber looks wonderful! I'm also a fan of the longer necklaces. 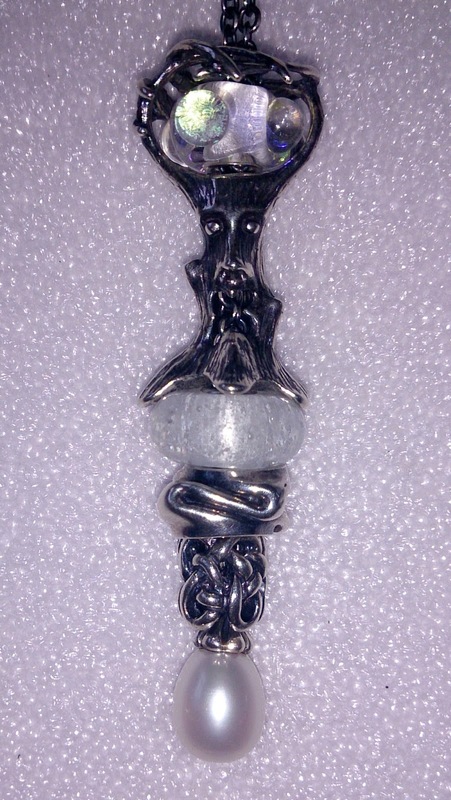 That said I did just get the shortest Asian Cord for the new X by Trollbeads Bird Skull. Can't wait to see the bird skull in all it's glory!